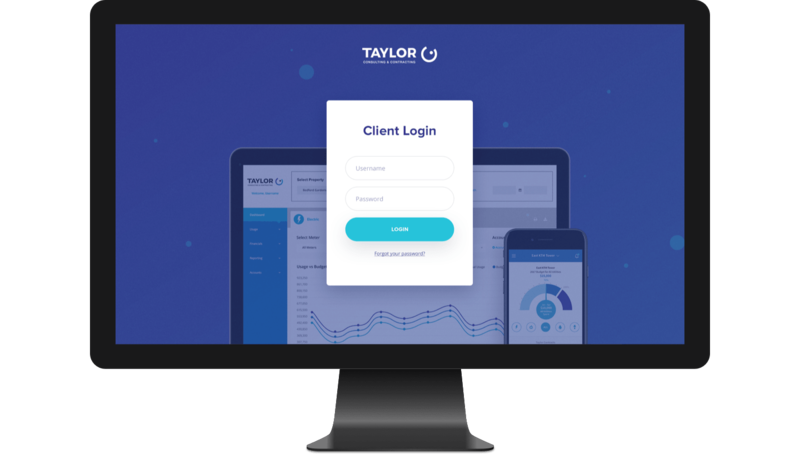 When Taylor approached us, they were in the same situation as many other clients. 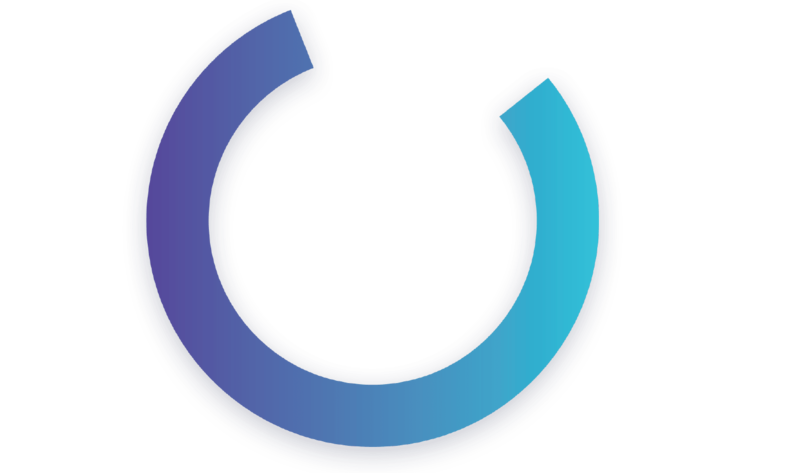 They had a brand that didn’t represent who they are in 2018 and their website didn’t effectively convey the value the company provides. 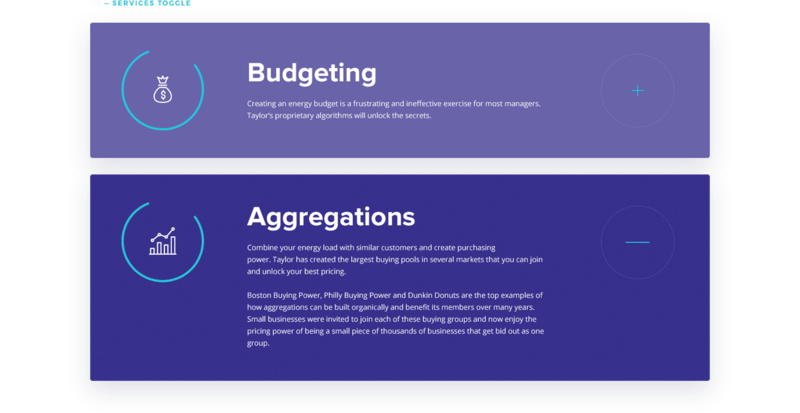 With a fresh rebrand and a new site, website leads have increased, bounce rate has decreased, and heatmaps prove that users are interacting with the proper features to grow sales. 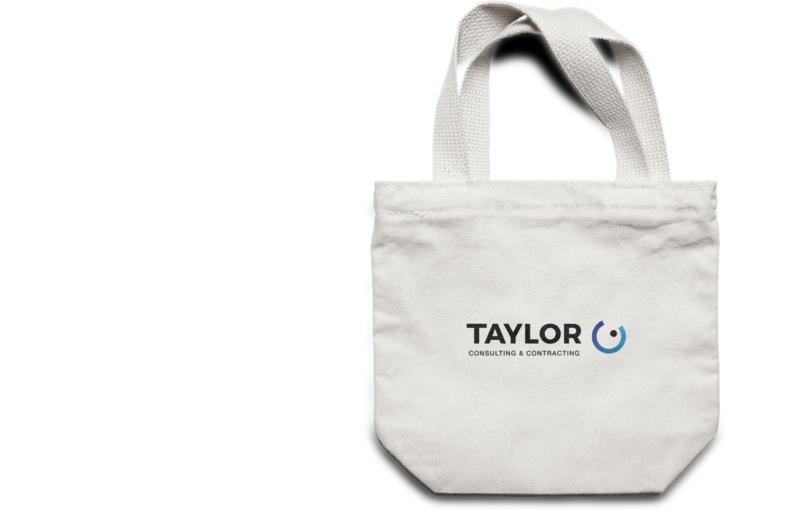 Taylor Consulting and Contracting is a nationally recognized utility management firm with extensive experience in both regulated and deregulated utility markets. 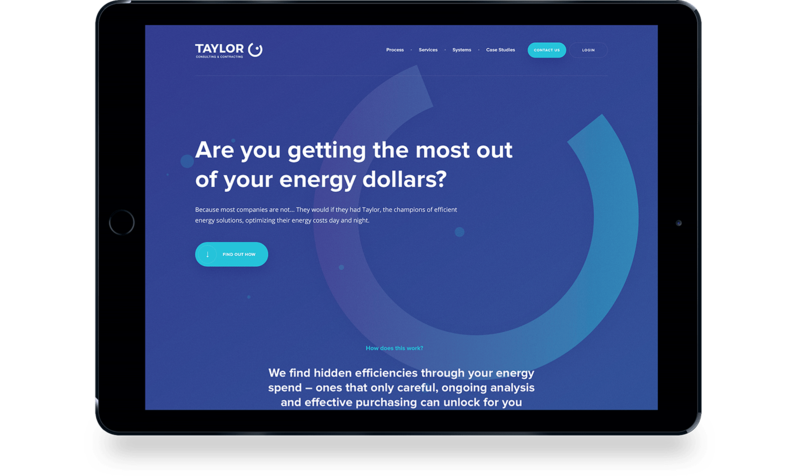 Since its inception in 2004, Taylor has serviced over 30,000 customers. 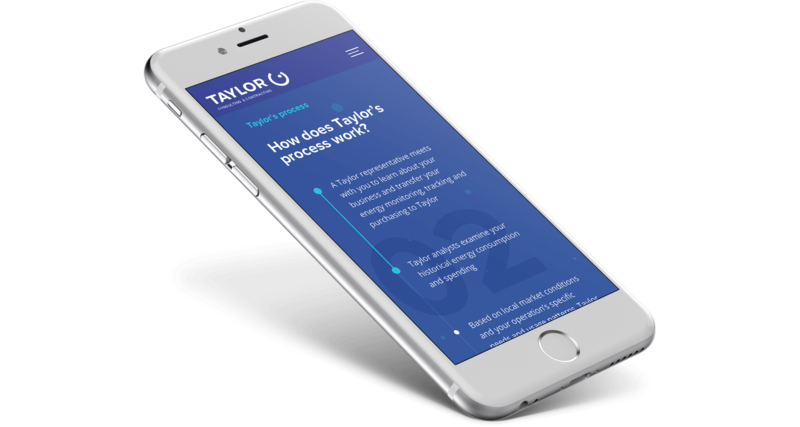 We focused heavily on UX to succinctly explain the value that Taylor brings to the table. 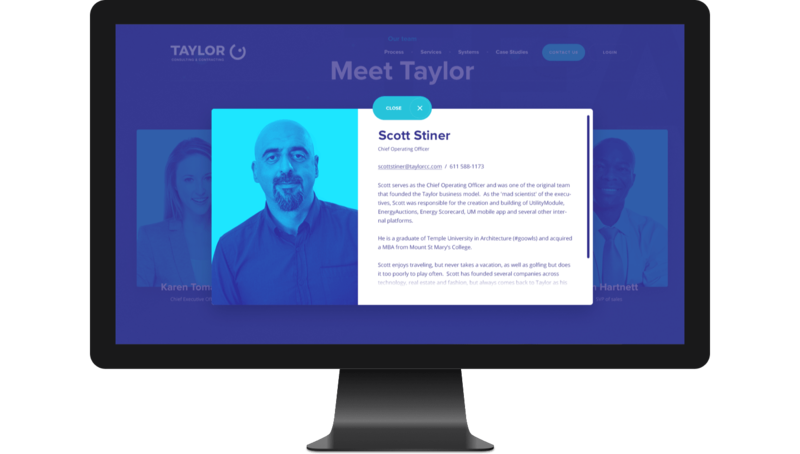 Since the redesign, Taylor has increased sales and geographic bandwidth through all channels. 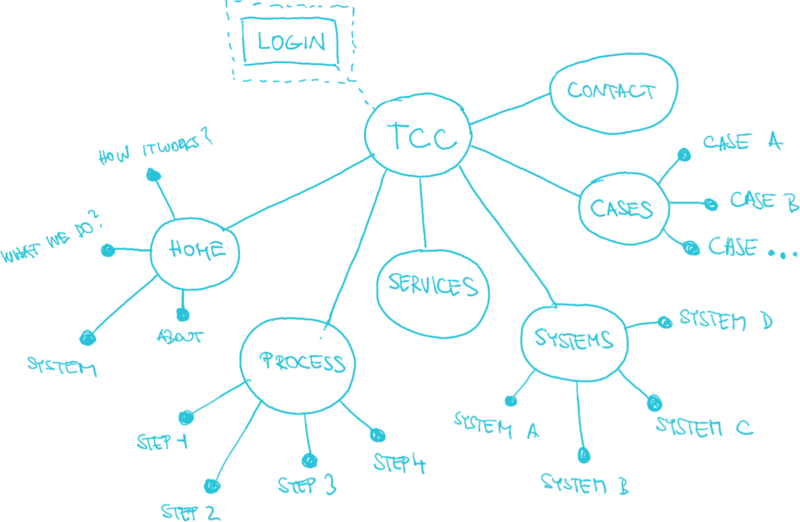 We developed a new sitemap and reorganized content more logically, while introducing sticky nav for improved usability. 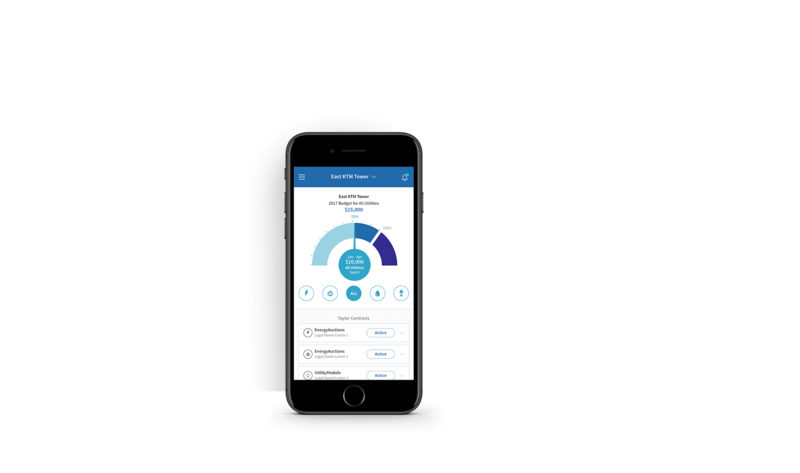 HP content serves as an entry point to the inner pages, allowing users to navigate in a more natural way. 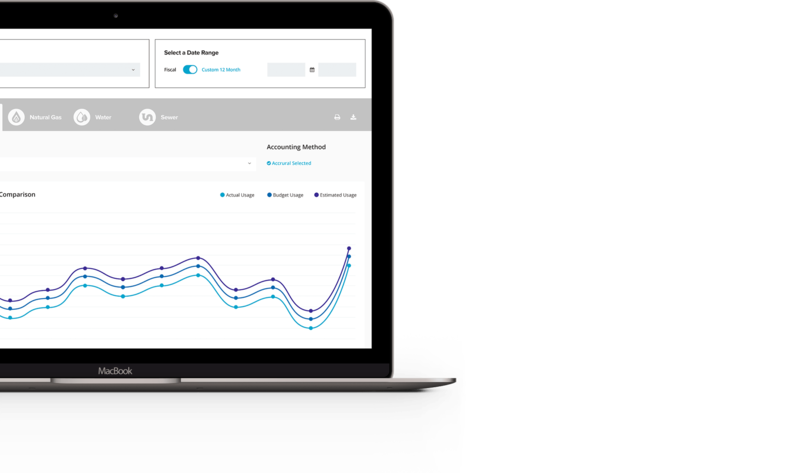 Lastly, a more user-friendly contact form has led to more conversions. 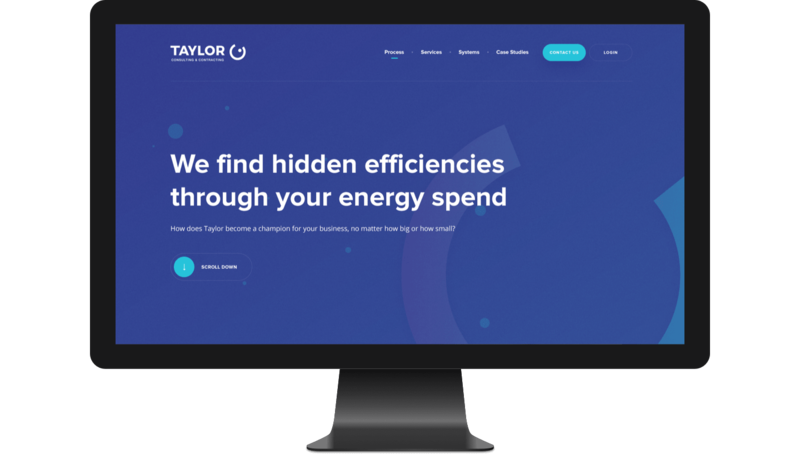 We’ve helped Taylor to fully rebrand their company, starting with their logo, stationery, website and design guidelines for the brand usage throughout various media. 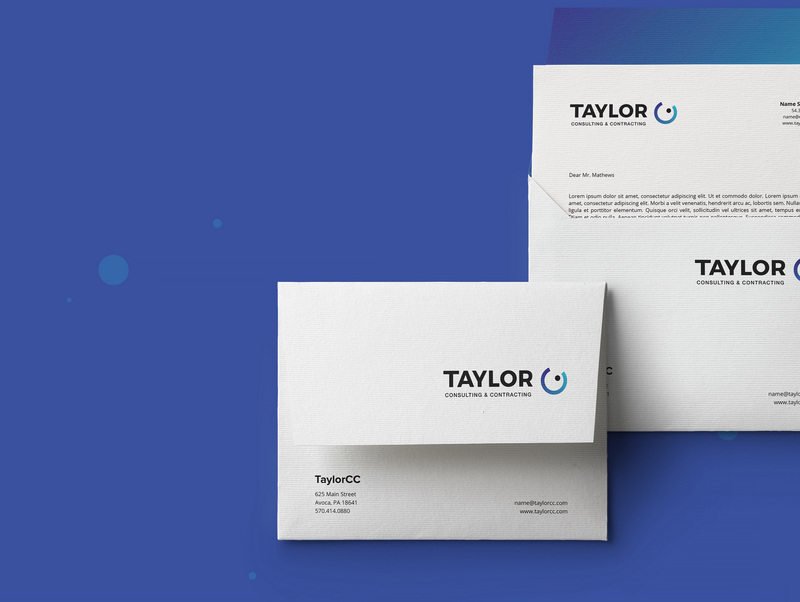 Bold typography with solid dark colors evokes the resolute approach of the Taylor consultants. 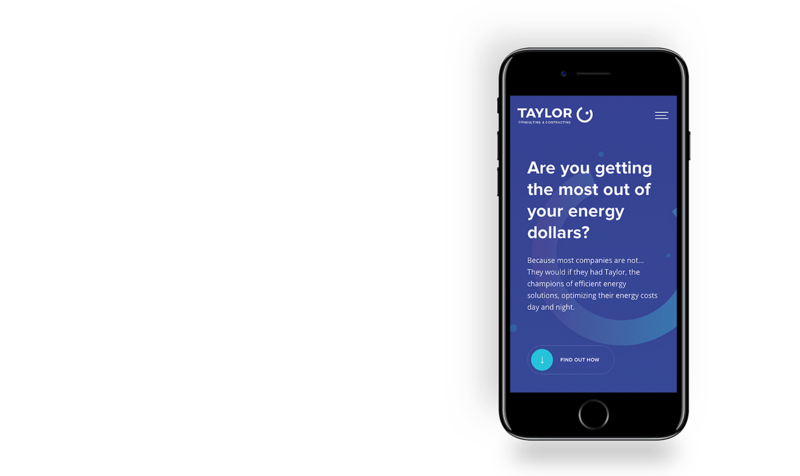 We introduced particles moving in the background, which is suggestive of energy and of Taylor’s focus on saving money for their clients on their energy bills. 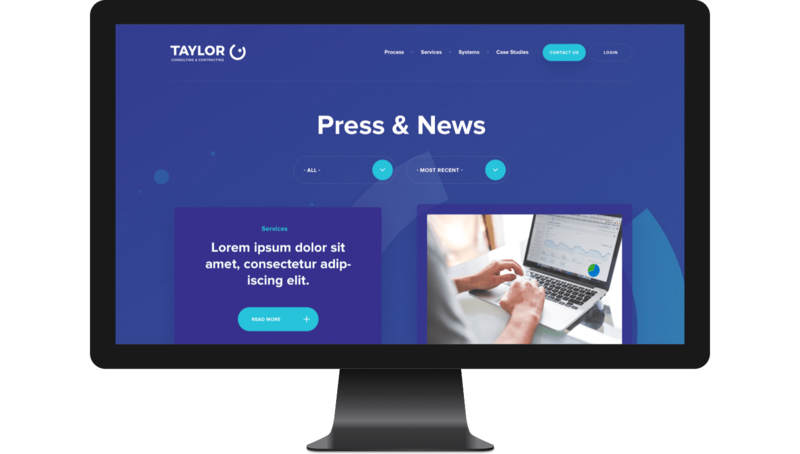 Thin and solid UI elements support the clean look and help users to focus on the most important element: content. 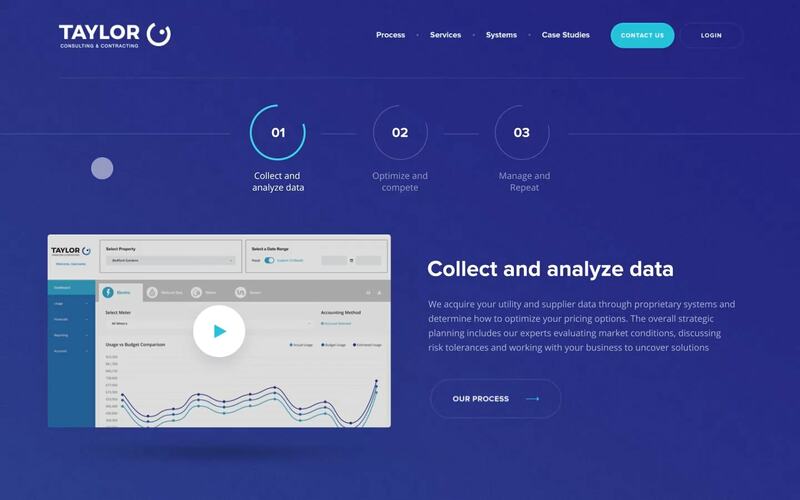 Our concept combined the idea of “maximum energy efficiency” with the imagery of a speedometer. We used a reverse color, red-to-green gradient (green-to-red is more commonly used), which symbolizes a new beginning and acceleration. 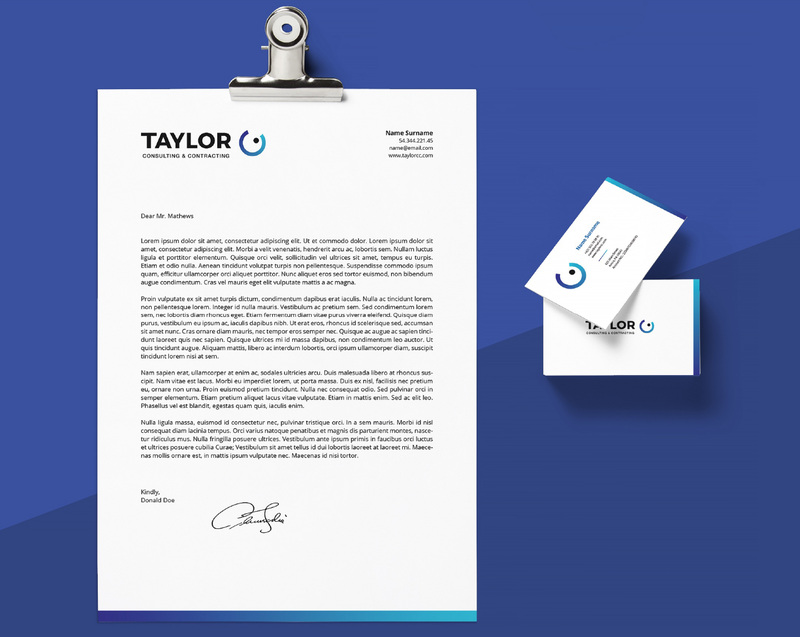 We supplied Taylor with a comprehensive branding package, including business cards, letterheads, envelopes, badges, pens, mugs, and wearables.  Everything is immortalized in a brand book for future purposes. 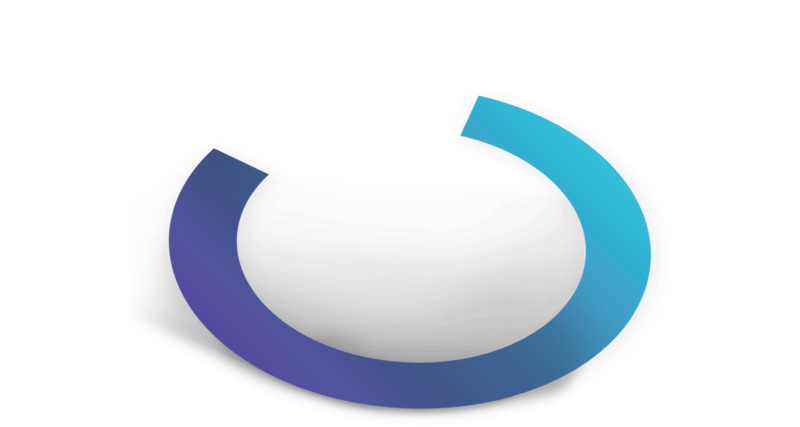 The tone is set in the brand color with a moving particle background. It adds energy and impulses to the likes of a circuit board.The particles subtly communicate Taylor’s complex process.